Manassas, VA – June 28, 2018 ZESTRON, the globally leading provider of high precision cleaning products, services and training solutions in the electronics manufacturing and semiconductor industries, is pleased to announce the addition of Marcel Thielke as the new Central Regional Sales Manager. “Mr. Thielke’s expertise in sales and knowledge of the electronics manufacturing industry will be essential to bringing the next generation of precision cleaning solutions to our customers in the Central USA,” says Sal Sparacino, Sales and Marketing Manager, ZESTRON Americas. As the Central Regional Sales Manager, Mr. Thielke will be responsible for managing sales throughout the central states. “As the new Regional Sales Manager, I am excited to hit the ground running and promote ZESTRON’s products and services throughout the Central USA. Together with my team and partners, I am confident that we will strengthen existing business relationships while creating new business opportunities,” says Mr. Thielke. 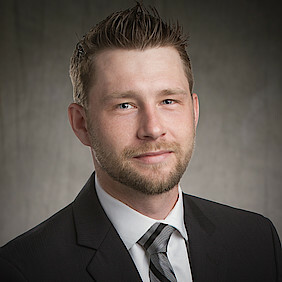 Mr. Thielke joins ZESTRON with nine years’ experience in the electronics industry. Most recently, he was a Global Account Manager for Wurth Electronics Midcom Inc. He received his bachelors in Business Economics from South Dakota State University.